As the New/2 2016 webinar series continues through the summer, Design Data will host two webinars in the coming weeks of June. The first, "Beam and Horizontal Brace Connection Enhancements," is scheduled for June 15, and "Hole and Weld Enhancements" will follow on June 29. Both webinars will take place at 10:30 a.m. CST. SDS/2 2016 has made improvements to beam and horizontal brace connections, including HSS beam paddle plates, HSS reinforcements, welds for CSA design, clipped horizontal brace gussets and more. 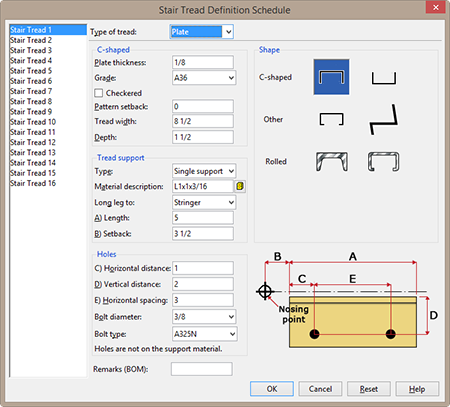 In this webinar, you will see and learn how all the enhanced beam and horizontal brace connections function. Register. SDS/2 2016 features enhancements to holes and welds, including counterbore holes, countersink holes, blind holes, a new chamfer edge tool, and more intelligent weld adding. In this webinar, you will learn how to utilize the machine/tool operations for holes and how to use the new weld features, as well as how the chamfer edge tool works. Register. To top things off, we've made it easy to access previous webinars anytime.